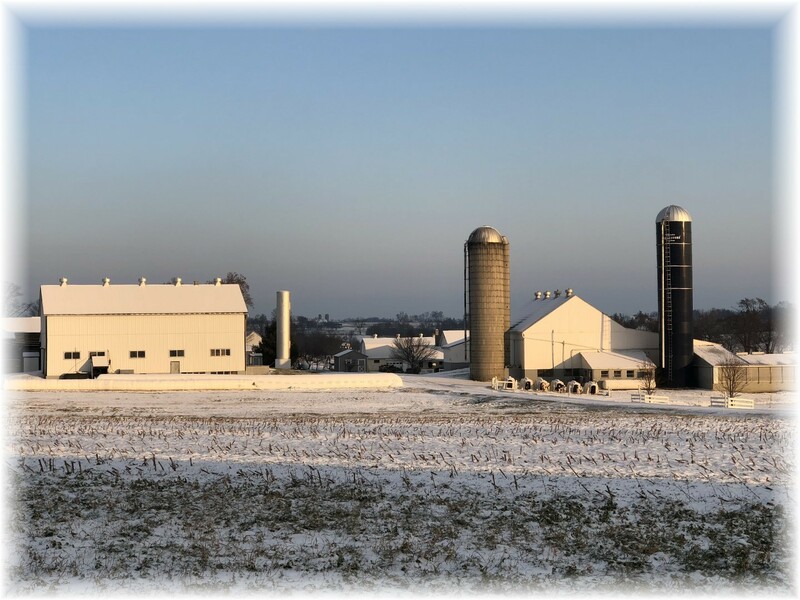 Please see below for our 2017 year-end financial appeal. Yesterday we passed this Amish Farm near Strasburg, PA following a light snowfall last night. “Great is the Lord” (Psalm 48:1). “He will be great” (Luke 1:32). “Your Name, O LORD, endures forever, Your fame, O LORD, throughout all generations” (Psalm 135:13). Last winter I began to hear a new acronym. After the dramatic Super Bowl comeback people (especially New England fans) began to use GOAT to describe quarterback Tom Brady. That initially sounded disrespectful to me, as being called a goat seemed like a rather derisive term. 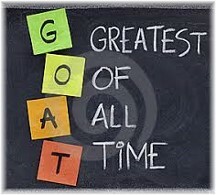 However GOAT is an acronym for “Greatest Of All Time”. Now of course there will be many opinions about who is the greatest quarterback of all time or the greatest of anything for that matter. But today let us consider One who is certainly the “Greatest Of All Time”. Mary, who had not yet conceived, heard a startling message from the angel, Gabriel, concerning Christ: “He will be great.” And here we are over 2000 years later affirming His greatness! As we prepare this message today our hearts are full of exaltation to the One exclusively worthy of all praise. A chorus we sang in our youth based on Psalm 48 had basically the same words as the graphic to the left. It’s one of the first Scriptures we recall singing! Psalm 135 was written several thousand years ago. The human writer, unlike many of the Psalms, is not identified. It is a song of praise for God’s wonderful and enduring works. “Your Name, O LORD, endures forever, Your fame, O LORD, throughout all generations.” It contrasts His eternal value with the vanity and brief span of man-made idols. The ancient people believed in gods whose power was limited to a particular region or locale. Their specialty was narrowed to being a particular cause such as a god for rain, a god for fertility, etc. Can you imagine what it would be like if God were only available in one location and could only intervene in one area of our life? Thanks be to His wonderful Name this is not the case. Our Lord is omnipresent (all-present), omnipotent (all-powerful) and omniscient (all-knowing). He will be remembered forever, and He will be famous for all time. His wisdom is unsearchable, His kingdom has no bounds, and His reign has no end. He truly is the famous One who is known through all the ages, to believers of every generation and through eternity. This day we unashamedly declare ourselves to be among two of Christ’s followers. Christianity is alive because Jesus Christ, its Founder, is alive! Jesus Christ is the central figure. He is great and He is the famous One in a class that stands way, way above any human classification. Join us in praising and serving Him today! He is truly the greatest of all time! Daily prayer: Father, You are exalted over all the nations and Your glory fills the heavens. You are great and greatly to be praised. There is no other One who sits enthroned in the heavens and yet whose Spirit hears the very sigh of my heart. You hear my prayer before it is even whispered on my lips. You know my need even before I am aware of it and yet Your greatness never keeps me at a distance. Instead You invite me to approach the throne of grace and have audience with the King of kings and Lord of lords, both in seasons of rejoicing and in times of need. Thank You, Almighty One who exists from eternity to eternity. It is through Jesus that we approach You in prayer. Amen. Special Year-end Financial Appeal: We want to thank all who have financially supported our ministry this past year (and some for many years!). We realize there are many fine ministries and causes requesting support at this time but if the Lord would lead you we surely need and appreciate the financial support from our readers and listeners. Like many ministries, we typically see a spike in giving at the end of the year for which we are most thankful. 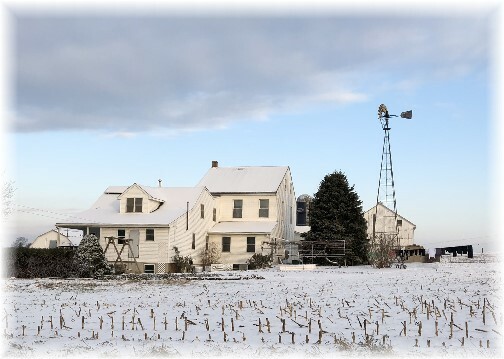 Another house we passed yesterday morning with the mighty windmill turning and clothes on the line blowing in the wind, such a common sight in Amish Country. With large families they’re bound to do a daily wash, but you’ll never see the clothes hung out on Sunday, which we greatly respect! “Psalm 48” Video The Mai Girls The way we recall singing this verse about 40 years ago! “Teaching Lechery and Getting Lechers” Article For several years I have appreciated the insight of Dr. Everett Piper, the president of Oklahoma Wesleyan University, which we visited this summer (the campus). This man really tells it like it is! Interestingly another meaning for GOAT is lecher. In my younger years GOAT was also informally used to describe a sport’s car of the sixties, the Pontiac GTO! I looked ahead and to both sides. Then I took off, laying down rubber in each gear. We laughed as we zoomed along in fourth gear, but then I heard a siren and looked behind to see a police car chasing me. In my enthusiasm I had forgotten to look behind when I took off! Amazingly I got a very stern warning from the officer but no ticket. I am sure he had a good chuckle at such a foolish teenager and can only imagine the story he had to tell the other officers that day!